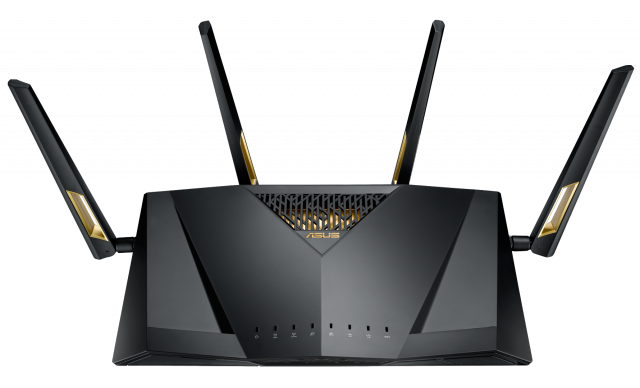 The RT-AX88U is not the only router that ASUS announced today at IFA 2017, as it also unveiled the RT-AC86U. The company specifically mentions gamers as its target market for the latter, with the RT-AC86U packing a built-in accelerator to optimize connections to game servers. But, let's get back to the RT-AX88U. The previously mentioned transfer speed is actually a combined one, and comes from a maximum of 1,148Mbps over 2.4GHz and 4,804Mbps over 5GHz. It sounds impressive nonetheless. ASUS also says that the throughput is four times faster compared to 802.11ac, and that more data transfers are supported at the same time as well. The RT-AC86U, which uses the older 802.11ac technology, is marketed as an AC2900 router, which means that transfer speeds top out at 2,600Mbps over Wi-Fi. It's the same story as above regarding the top speed: it's a combination of maximum 2.4GHz and 5GHz transfer speeds, but this time around there is no breakdown provided. 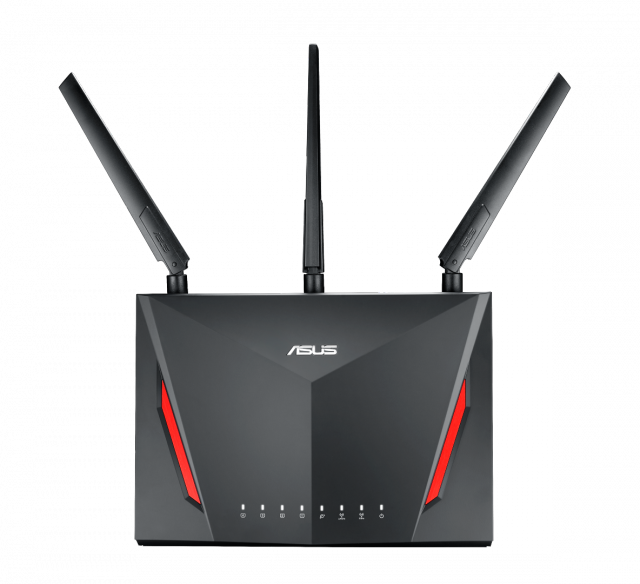 ASUS adds that the RT-AC86U comes with AIProtection, which is powered by Trend Micro Smart Home Network. That is touted as "the first commercial-grade security for home networks to give users added peace of mind while gaming" and it is available "free for life" to users. There is no word on pricing or availability for the RT-AX88U or the RT-AC86U, but given that they're premium products they're likely to cost a pretty penny.